There are quite a few reasons to use our services. First, we offer highly accurate translation services at some of the lowest prices. The fact that we translate any type of document in over 120 languages and counting is another major incentive. We use a full TEP process, where 2 translators are assigned to each task in order to translate and proofread, leaving no room for errors. 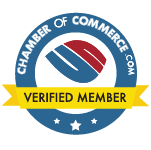 We provide translation for businesses, but also for individuals who need certified translation for the US. Universal Translation Services is a reliable name in the translation industry. Get a free translation quote and get started on your translation journey! While you are reviewing our website and wondering whether to get a free translation quote from us or not, here are some benefits of using our services that we would love to expand on! You do not have to worry about whether our translator that was assigned to you was up to the mark. 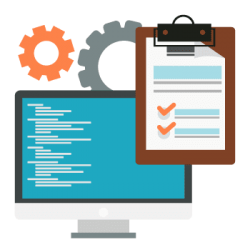 We have also assigned a proofreader who will look into the content and make sure that the content that we provide you with is well- translated and follows all of the other specifications that you gave us. This will make the translation process trustworthy for our clients. We have a thorough review process that can be viewed further on other pages on our website! We have a policy of offering some of the most competitive prices. Our prices for both regular and certified translations are already discounted, yet we offer an even lower rate for high volume projects. We don’t have any hidden fees, nor extra rates for rush translations or for projects needed to be worked on during the weekend. We are always open! Universal Translation Services is open on weekends and 24/7 over the entire week to give you a free translation services quote. We are really always here so that you don’t have to count weekends as closed days. If you are promised your assignment in three days, you are getting it in three days, even if the third day is a Sunday! This is to make sure that the translations that you need are not unreasonably delayed. We work in a global system and we are always open and delivering! We don’t believe in leaving our quality to the content teams. We have a proper project management system and your translations are the projects. We have made the evaluation and re-evaluation a necessary component of the translation and we run your translation through our quality assurance team that ensures that the quality is up to the mark! The project management teams that we have are a novel idea, but they make the translation quality soar through the roof! The free translation quote occurs before closing a deal. A project manager will examine the whole document or the files that need to be translated before giving a free quote. So, consistent communication with the client is required at this stage. At Universal Translation Services, we understand the importance of being able to directly communicate with us, in case you have questions or clarifications. From before the time you place an order, you are able to communicate with us through our chat function or by email. You can also call us, or visit our offices. What should be considered in a free translation quote? Before the quoting process, a few things must be requested by our project manager, and these things combine the following listed below. What is the format the client would like to get? Does the translation need a certification? When is the delivery date? Do you need a hard copy sent by mail? Once the items mentioned above are quoted, our project manager will create a project proposal and send you a quote in mere minutes. Consequently, it is essential to keep the communication lines open with the clients for several choices, updates, and reviews to assure that high-quality translation is achieved, and we do just that: you can always get in touch with the project manager in charged with your project, even after the translation has been sent to you. Have you ever wondered how much people use the 5 minutes term for all sorts of situations? Your friends call you to ask when you will be arriving, and you say in 5 minutes. Kids ask their mom, when will their food be ready? And the mom goes, bringing in 5 minutes. But the truth is this rushed world really needs five-minute solutions as no one out there is free enough to wait more. 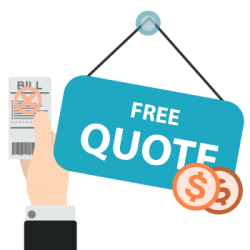 And what if you can get something free in just five minutes, well, yes you can get a free translation quote from us in just five minutes. Time is getting scarce and we won’t let you wait for translation prices online. We are available for your convenience all the time. You can get a translation quote from us with no fee at all. Just send us the details of your project and we’ll give you the cheapest quote within minutes. With your busy routine, the last thing you want is to wait, whether it’s in a line or over the phone. Our quick and simple solutions are just a click away. So the next time you have a translation project and you want to know what would be the price, here is where you can get a free translation quote in just five minutes. 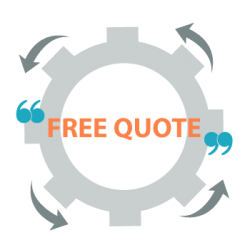 Get your free translation quote now! We are not interested in any software that will do translations for us. We do all of our translations with our translators who conduct the translations organically. The reason is that the translations that are done by translation machines are highly dubious and their accuracy is murky at best. Even if they are reviewed by a real translator, the content evaluation, once it has been translated, is the very hard needle to thread. It is simply much more reliable to use human translators to conduct the translations, and ours are one hundred percent error proof! 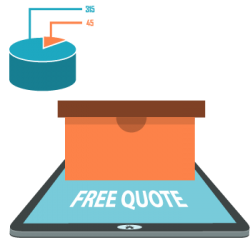 Get your free, no-obligation translation quote now! Within 5 minutes I give you a translation quote. You prefer a quote now? Contact us live here!! We are open 24 hours a day 7 days a week, YES also on Saturday and Sunday! I can’t believe what a world of help I got from this translation service. They are open 24 hours, which is impressive. I had a concern, and contacted them in the middle of the night, and they were able to get right back with me. I’ve also used the live chat, in addition to contact and quotes. Keep up the good work! When they claim to solve every communication problem, they mean it. I only wish they were available to help communication in my marriage! LOL. What I love most about Universal Translation Services is their toll free number, 1-844-wetranslate. There are only native language speakers, and that filters into an all around great design for the needs of consumers. 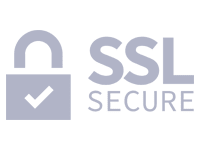 I did my research before purchasing services from this company, and I found that they are the most advanced service provider in the US, and in Europe. They came highly recommended, and I am here to recommend them, first-hand. They have solved so many communication issues between my company and suppliers. I couldn’t be happier. I have been very pleased with Universal Translation Services. I asked for a quote on their site and received it quickly. It is very inexpensive for the value of the service. I would recommend it to others. This company has been in the translation business for fifteen years, and it shows! Their quality of service is excellent, and they keep in good contact with their customers. I hardly have to wait for a response when I am troubleshooting an issue with them. The Live Chat option is a user-friendly service as well. Thank you! Having an account with Universal Translation Services has been the best investment my business has ever made. I am consistently impressed with their service and wouldn’t dream of choosing any other translation service. I am located in London, and I’ve corresponded with Universal Translation Service’s office in Europe. They’ve been very efficient and easy to work with. I can’t give them enough accolades; as far as I’m concerned, they are the ONLY company to seek for translation needs. I’m very grateful I found the phone number 1-844-WETRANSLATE. Prior to using their services, my import/export company suffered great loss stemming from communication barriers. If it weren’t for Universal Translation Services, we might have gone under. Just in the nick of time, they were able to assist me with our overseas retailers, and now we’re in the process of expanding all departments. They’ve been a great help at a minimal cost. Universal Translation Services is a translation company in the US which provides professional translation services for documents and websites, from and into over 120 languages. No matter if your document is medical, technical, legal or of any other type, we have highly trained translators in just about any field. If you need high quality translations at affordable prices for any document, get in touch. We also provide certified translation services for immigration to the US: translations for birth and marriage certificates, diplomas and other personal documents. Notarized translations are also available. We are working 24 hours a day, 7 days a week, feel free to ask for a quote or more information whenever you want, our project managers are here to help you out.